CEMDAL was created by its director, Francesc Daura Luna, Electric/Electronic Industrial Engineer with 35 years experience as research manager, sales manager and field applications engineer in the automotive, electronics (ASIC and standard components) and hardware design for multinational and local companies. He has also worked as a consultant in compatibility and electromagnetic interference (EMI / EMC / EMF). 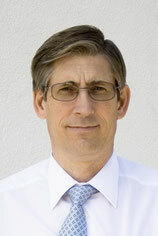 For 25 years he has been advising and providing tailor-made courses on EMI / EMC / EMF to companies in Spain and Portugal. He has written several articles on the subject in magazines like “Mundo Electrónico” and “Revista Española de Electrónica”. He is co-author of the book: “Interferencias Electromagnéticas en Sistemas Electrónicos”, Marcombo, 1991.